BridgeWell Capital is a direct private money/hard money lender for real estate investors in Texas. We offer hard money loans for residential (no-owner occupied homes) buy-fix-sell and buy-fix-rent investments in Texas. Our management team, with over 30 years of investing industry experience, has successfully funded over 200 million dollars in private money loans for real estate investors. We understand and know every possible scenario in the investing business and know how critical it is to have a reliable source of hard money financing available. BridgeWell Capital is committed to be that source. We believe you will be excited to know how easy it is to get a loan from BridgeWell Capital. 5-minute pre-approval, low rates, flexible terms, 7 day closings, a knowledgeable and friendly staff can hardly be found anywhere else. Everything you have been looking for in a hard money lender is here. BridgeWell Capital also provides investors with services to be successful in their projects. Our project consulting program is designed to help investors throughout all phases of their investment projects. Instead, if you are looking to qualify for long-term conventional refinancing of cash-flow rental properties, the refi-builder program is the right program for you. BridgeWell Capital is not just a hard money lender, it is a business offering valuable expertise and knowledge to its partners. The housing market in Texas, which has remained stable along the years, is now benefiting from its strong economy. In many states of the central and southeast, job growth has been an essential factor driving the economy. Texas is no exception. Oil and energy production has helped the region sustain the high employment rates. According to the Bureau of Labor Statistics, Texas rank in the top 10 in job growth from 2001 to 2011. In 2011, the unemployment rate was well under the national average of 8.9 percent. Employment growth, expected to be a long-term trend, has helped Texas endure the hardship of the recession better than any other state. The state’s major cities, Houston, Dallas, Fort Worth, Austin and San Antonio, are pretty much recovered. Perhaps the largest real estate market is Houston, offering properties from inexpensive condos to ostentatious mansions. At BridgeWell Capital, for our hard money loan approvals, we recommend investing in single-family detached, 3 bedroom, 2 bathroom (3/2) homes in established sub-divisions, among other factors. You will find that in the Houston market and much more. Austin is the most expensive of the major cities. Between 2006 and 2010, the median price of a house in Austin was $200K, much higher than the state average of $128,100. In spite of the high prices, the market remains strong and growing. According to the Austin Board of REALTORS©, in October 2013 a total of 2,145 single family homes were sold, nine percent more than in October of the previous year. If you are going to invest in Austin, you will need to have cash available to finance your investment. With our private money program you will find the fastest and easiest way to finance your deals. If you are looking for a more inexpensive area, Dallas is the place for you. Between 2006 and 2010, the median price in Dallas was $129,800 and the house value has grown about 44 percent since 2000. As a real estate investor, the low prices in Dallas can be in your favor allowing you to purchase more than one property at a time. 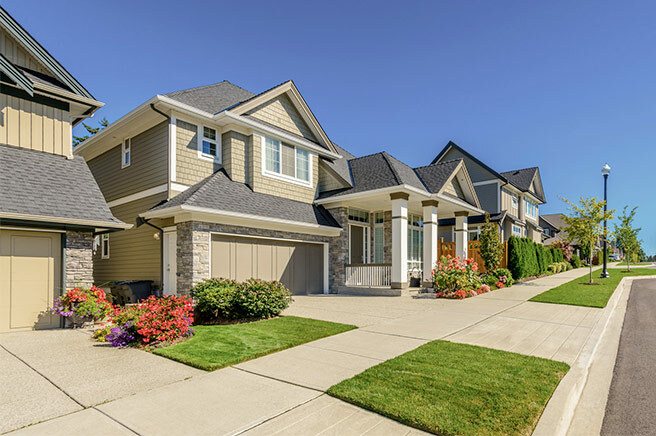 You may choose to diversify and purchase multiple single-family homes using the leverage from BridgeWell Capital’s hard money loans. Instead of using all your cash reserves in one property, you can use our hard money loans to finance multiple deals. Often, the profits from multiple properties using private money are larger than the profit from one using your own money. Fort Worth is similarly priced. The median price of homes between 2006 and 2010 was $120,300, although the home price growth since 2000 was above the state average (69.20%). The tide of rising prices in Fort Worth can benefit those looking to benefit from the increased equity. BridgeWell Capital’s hard money rehab loans are specifically designed for these investors. Houston, Austin, Dallas and Fort Worth have their own market peculiarities. However, if you like to approach investments in a more conservative way, San Antonio is the right place for you. San Antonio is a point of moderation in the Texas market. For more information about out hard money loan programs in Houston, Austin, Dallas, Fort Worth and San Antonio, see our lending territory map. You can also call us at 214-617-9900 or take a minute to submit our hard money pre-qual form. Texas is one of the fastest-growing states in the US. As of 2010, the total population in Texas was 25,145,561 and the population growth rate since 2000 was 20.59 percent (more than twice as much the nation’s growth rate). The population is also becoming older, less rural and more diverse. As the baby boom generation comes to maturity, the senior population growth is outpacing the general population. From 1980 to 2005, while the general population was growing at 60.7 percent, the senior population aged 65 and over grew at 65.7 percent. Similarly, the population in rural Texas has been growing at a much slower pace, compared to the population in the urban areas. In 2005, it was estimated that 86 percent of the people in Texas resided in the urban areas, while 14 percent lived in rural locations. As far as population diversity, in 2004 Texas became a “majority-minority” state, meaning the minority groups combined outnumbered the White majority. Hispanics are the fastest-growing minority with a 10.9 percent growth since 2000 with 32 percent of the total population. As a real estate investor, if you are planning to use hard money for your source of financing, understanding and becoming familiar with the demographics of the area is important for making wise investment decisions. In fact, the demographic information about the neighborhood of your investment property plays an important role for our hard money approvals. To find out about how demographics can influence your investment success feel free to call us at 214-617-9900. You can also take a minute and submit a private money pre-qual form. No commitments. Anybody involved in the real estate investment business would tell you that REIAs are a great place to network and meet other like-minded professionals. At the REIAs you will find mortgage brokers, remodeling contractors, rehabbing experts, wholesalers, real estate attorneys, appraisers… you name it. Building teams and relationships with professionals of a variety of real estate-related disciplines can really help you boost your business, in the same way that our hard money financing can help you get higher returns. BridgeWell Capital is ready today to become part of your team. If you are ready to start investing call us now at 214-617-9900 or take a minute to submit our private money pre-qual form and we will contact you shortly.